Last Monday my Mum, brother, his girlfriend and I went to see Louis Theroux's latest documentary, My Scientology Movie. If you know me at all you'll know i'm a huge Louis Theroux and his documentaries are a go to watch for me on Netflix. I had heard that he'd been working on a movie about Scientology a while ago and it seemed to take ages for it to get a release date. It finally did and my brother booked tickets for us to see a screening in Manchester which included a live Q&A after the film (taking place in London). We did some retail therapy, got some tasty pizza and headed down to the cinema. We booked gallery tickets which were more expensive but you got comfy seats and free popcorn and drinks. It was definitely worth it. The film gives a basic back story on how Scientology was started, who's involved and what each levels are about. I've been fascinated by Scientology for a while so I already knew a decent amount but Louis quickly breaks it down. During the Q&A the director of the film said he wanted to combine the funny elements of Louis' Weird Weekends and the more serious parts of his later documentaries. They did this by getting actors to recreate the slightly strange and amusing promotion films Scientology have released. One including a video Tom Cruise made talking about the religion. I wasn't expecting this to be part of the film but it was a nice way to show some of the things that have happened. Louis got to meet some big people within Scientology that have since left which showed the other side to the religion that they don't talk about. He did try to get in contact with people within Scientology but they refused to be part of the film, however they did send people out to follow Louis and even started making their own documentary on him. I went in being a bit confused about why people join Scientology and after the film I felt the same. I think the managed to show both sides to Scientology and let the viewer make up their own mind however some of the behaviours of people within the group does make it hard to see why someone would want to join. It isn't as detailed as the other Scientology film, Going Clear but it does give you the basics as well as making it a funny enjoyable watch. If you're a fan of Louis Theroux i'm sure you will enjoy watching and I would recommend checking it out if it is showing near you. Since seeing the film i've gone back on a binge of his other documentaries and i'm excited to see what he does next. Are you a Louis Theroux fan? 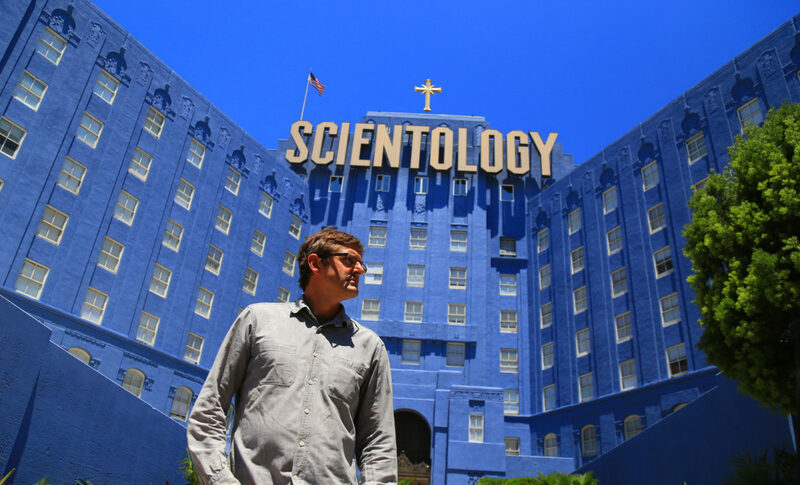 Will you be seeing My Scientology Movie?